Dori Freeman does not need an expansive canvas to weave her magical spell. In fact, the more minimalist the environment the better and LETTERS NEVER READ has provided the perfect vehicle to tantalise the discerning ear. Spreading its beauty in a concise twenty-eight minutes sees Dori skirting a touch with brevity, but the acute song selection and optimum production reaches out far from this homely base. Initial spins of this record gave a different feel to last year’s debut self-titled album, although closer aural examination yielded much of the same qualities. This is ideal, as the previous record was absolutely adored and the new one is racing to a similar status. Similarities are also extended to the presence of Teddy Thompson once again in the production role. Dori’s velvet lined country vocals make the same delightful impact and totally own the airwaves from the moment the first bar is sung. The golden voice from Galax Virginia is the ideal strapline for Dori’s music, with its subtle roots underlay and pivotal position at the crossroads of traditional and contemporary roots music. To grasp the structure of this album, it is worth analysing the impact of six original compositions mixed into the potpourri with four other tunes from a diverse range of sources. The listener is immediately exposed to the wealth of Dori’s song writing via a four-strong run of tunes led off by the sweet sounding waltz-like tones of ‘If I Could Make You My Own’. There is almost a seamless thread in this segment with ‘Just Say It Now’ carrying on the mantle of the opener. ‘Lovers on the Run’ follows, housing the album title in one of its lines and intimating that some songs written for past acquaintances never reach their intended destination. One tempering feature that surfaces at this point is the more profound impact of the melody in the verses rather than the chorus. In the early stages of getting to grips with this record, it appears to lack a gem of a track in the vein that ‘Go on Lovin’’ illuminated the previous album. Maybe in time one will emerge, but if you’re seeking the ingrained earworm moments, the non-originals are more likely to deliver. The Thompson family influence is extended to Dori decorating her adorable vocals around the classic ‘I Want to See the Bright Lights Tonight’ from the brilliant pen of Teddy’s father, Richard. There can hardly be a more contrasting vocal experience than between the original and Dori's version. Take your pick or appreciate the value in both. To shore up the roots impact of this album, a moving a Capella version of a song written by Dori’s grandfather Willard Gayheart ensures time stands still for a brief couple of minutes at the midway point. ‘Ern and Zorry’s Sneakin’ Bitin’ Dog’ is a tale that you would only expect to find in the backwoods of the rural South and it certainly warms the heart of those listening from afar. To further re-enforce the southern feel, a banjo-led old time gospel tune in ‘Over There’ offers a communal feel with it harking back to humbler times. 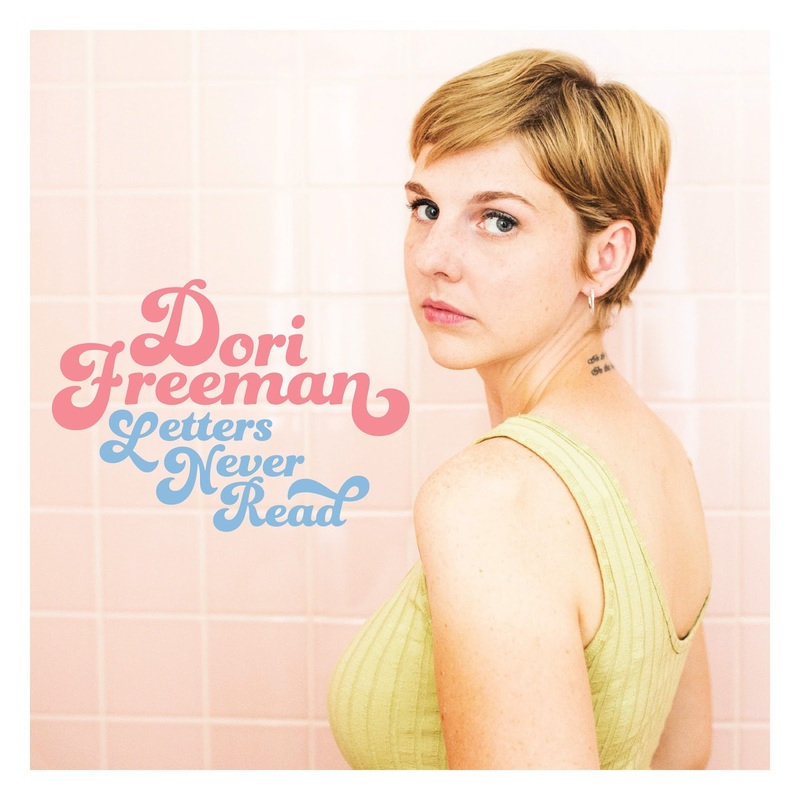 The fourth and final outside song that Dori wraps her vocal chords around is a version of Jim Reeves’ ‘Yonder Comes a Sucker’, complete with drum roll and a comfortable fit as the album closer. ‘Cold Waves’, ‘Turtle Dove’ and the twang laden ‘That’s Alright’ complete the set of originals; all well-equipped to showcase Dori's qualities without quite hitting the heights of the three previously mentioned self-penned tunes. This far from waters down the overall feel to the album and the ultimate congenial beauty in its sparsity. Dori’s song writing does contain some interesting structural parts to arouse those who like to explore this aspect of the art. Also this album errs more on the upbeat side of love, in contrast to what we have come to expect from the genre in which she is rooted. It has taken a little under two years for Dori Freeman to emerge as a recorded treasure and she is positively flourishing musically in the current set up that she operates in. The sleek and concise LETTERS NEVER READ has the potential for her to continue to make a leap forward. It does leave a little of the innocence of the first album behind, but significantly builds on the imperious qualities that Dori possesses.